The 2015 Avenal Sand Drags Spring Nationals final day of eliminations was contested with sunny skies and mild temps in Central California. The Top Eliminator final round is one for the ages. Carey Mahoney took the TE class victory defeating Ron d’Artenay in a close 2.954 to 2.955 race on the 2.95 Index. Carey had a .04 starting line advantage and that was the deciding factor. Gary Mink put the power to the ground and won the Top Alcohol class with a weekend best 2.48 in the final round. The Three Jeeps ended up in the Winner’s Circle at Avenal with Kenny Hayes (Pro 1), Justin Adamson (Pro 2), and Chris Adamson (Pro 3) all getting their respective class wins. Timothy Wilson (MP1) and Jack Vandigriff (MP2) were the ATV Pro Bracket class winners on Sunday. Junior class winners were Chaylene Pintor (Juniors), Jayden Pena (Kids), and Cheyenne Hartman (Youth). Run Sheets are now posted (4-29). Atoka Motorsports Park in Atoka, OK kicked off their 2015 point series season on April 11 after having to cancel the March event due to rainy weather. The April event featured great racing in the always competitive Pro Bracket Car & Quad classes at the Southeastern Oklahoma sand drag facility. Check out some great photos from this event courtesy of our friends at Lonestar Graphics. Gary & Michelle once again took some great shots throughout the weekend. Be sure to check out their site and pick up a shirt, hat, iPhone case, or one of the many other great products Lonestar offers. Click “Read More” to view the event photo recap. We are saddened to pass along the news of the sudden passing of longtime Top Fuel sand drag racer Rick Cameron. Rick had competed as recently as two weeks ago at an event in California scoring a runner up finish. 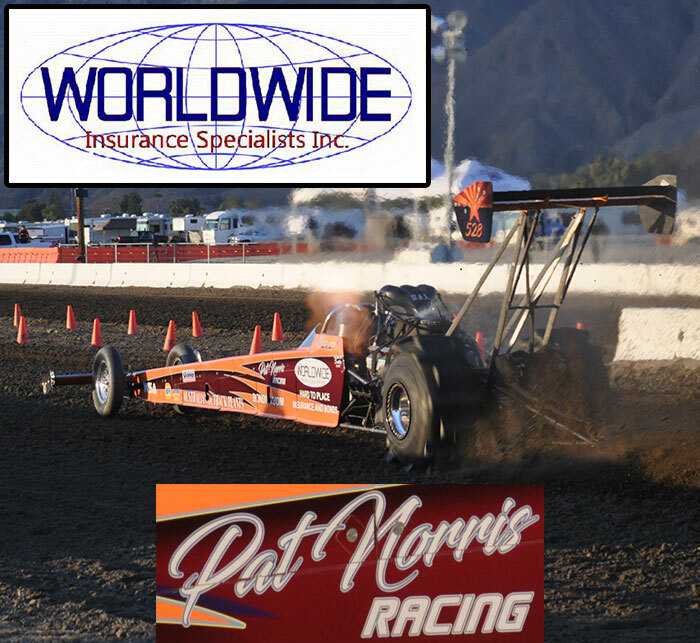 He had a life long love for burning Nitromethane competing on both sand and asphalt in a variety of dragsters. NSDN passes along our condolences to Rick's Family at this difficult time. Click “Read More” to view more photos of Rick in action and a neat story about Rick from a few years ago. LVJC Jamboree at Dumont is a GO for 2016! Mark your calendars for Presidents Day Weekend 2016 as the Las Vegas Jeep Club Jamboree is back! 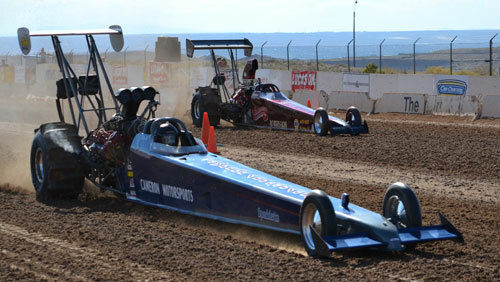 The standard weekend of racing with Hill Climbs on Saturday and Sand Drags on Sunday is on the docket. On top of that, the Las Vegas Jeep Club has partnered with the Side by Side Wars group headed by Matt Ling to add a strong group of high horsepower UTV’s to the race program on both the Hill Climbs and Sand Drags. Complete event details are being finalized and will be released at a later date. This is promising to be a great weekend of action with Jeeps and UTV’s at the Dumont Dunes. CA. For more information, contact Shawn Thompson 702-378-3571 or Dave Stidham at 702-338-4606 for Las Vegas Jeep Club info, or Matt Ling at 559-312-6312 for Side by Side Wars UTV info. 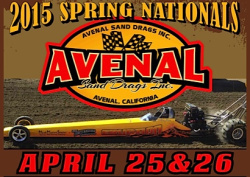 NSDN is proud to be entering our 9th year of sand drag racing coverage. The past eight years have been full of meeting great people, lots of travel adventures, and most of all witnessing great 300’ sand drag action across the country. There are tons of great photos on the NSDN hard drives, so let’s take a look back at some of the best racing and neatest race cars in the first eight years of NSDN. This is the first installment of “NSDN Rewind's Throwback”.